I have seen heaps of Diane Arbus’s work over the years – but it is a terrific experience to revisit these again. This is an exhibition that should excite anyone with an interest in photography, good printing and the work of a host of great American photographers. Having started with such enthusiasm in my praise for this new exhibition, I must throw in a little surprise I had a s soon as I entered the exhibition space – which is upstairs. 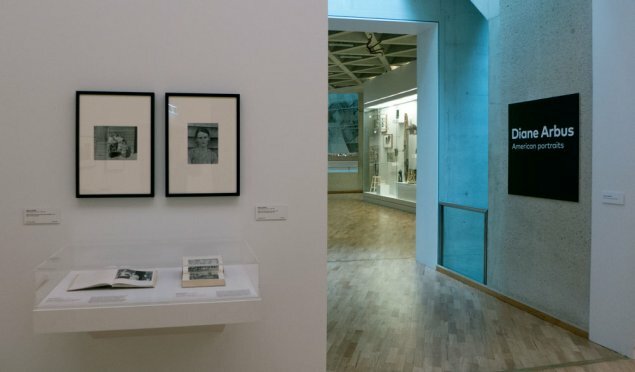 While there are many wonderful works by Diane Arbus under the title Diane Arbus: American portraits, the reality is that this exhibition has just as many works by a host of other photographers. 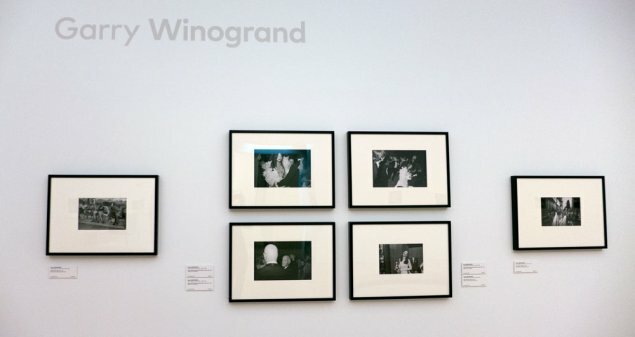 The other photographers are: Lisette Model, Walker Evans, William Klein, Weegee,Garry Winogrand, Lee Friedlander, Milton Rogovin, William Eggleston, and one I did not know – a young contemporary California-based photographer, Katy Grannan. I am yet to get my head around how the dots were connected to have this show with all these artists under this particular title. But – hey – I suggest you do not think too long on that and instead do as I did – enjoy the experience. 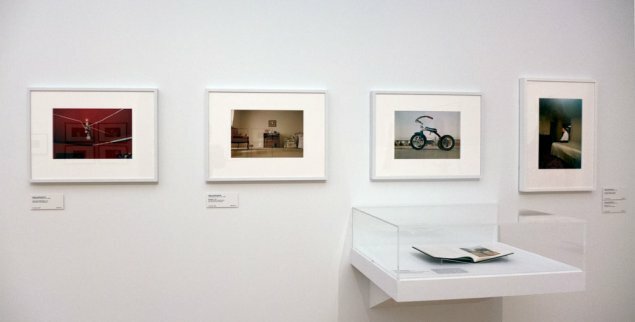 The curatorial approach for this exhibition is very intelligent, as they have supplied a great range of work as well as some books to show how the photographers disseminated their images to a wider audience – other than those who were lucky to see them through exhibitions. Another big plus is that the information on the wall panels is easy to take in and assists in the understanding of the works. Do not get me started on some curator’s wall panels that are so patronising and are in a special arts-speak. But not here this time. A big plus to the curators for that! 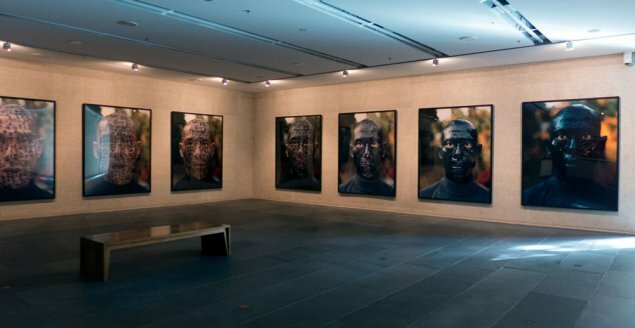 If you have not already worked it out – this is a must see exhibition. Not only for the quality of the subject matter – but very much to enjoy what photography can offer when the artists know how to make a good print. 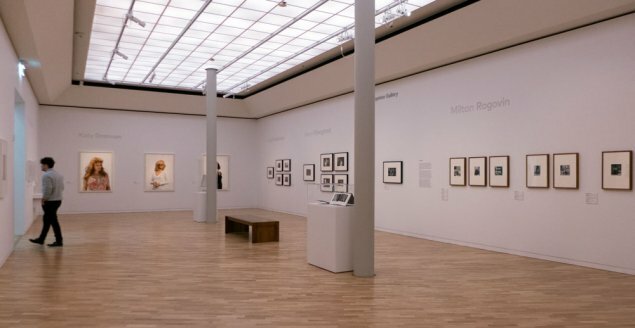 This photography exhibition is a NGA collection show – yet another indicator of the strength of the NGA’s photography collection. 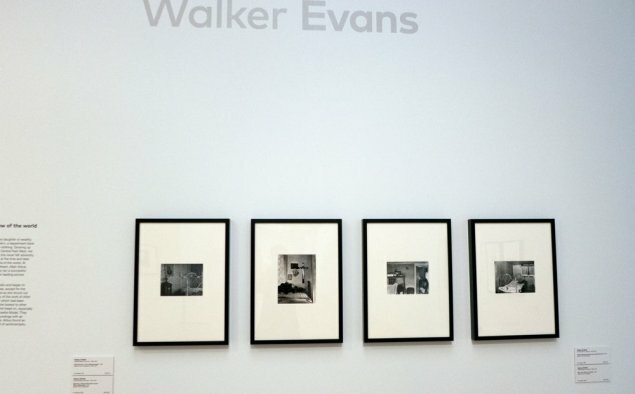 I doubt any other gallery in the country could mount such an exquisite exhibition of US photography from this important period in the medium’s history. Well done NGA! This is a highly recommended exhibition – see it once and then plan to return to enjoy it even more a second time. 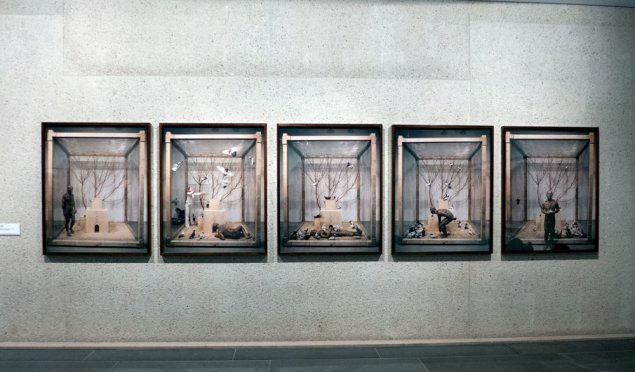 Upstairs at the National Gallery of Australia – till 30th October 2016. Free entry. Click here for the NGA’s online information on this exhibition. The NGA has also opened a new exhibition in the lower ground floor on contemporary Chinese arts. Curiously much of this is borrowed from private collectors. I am not sure what that is all about given the wealth of the NGA’s own collections. But – think about that another time. I recommend that you make your way downstairs after you have seen the photography upstairs. Free entry. There was no information available online about this exhibition at the time of writing.